Photo collection: This is one of dozens of photos we have assembled. 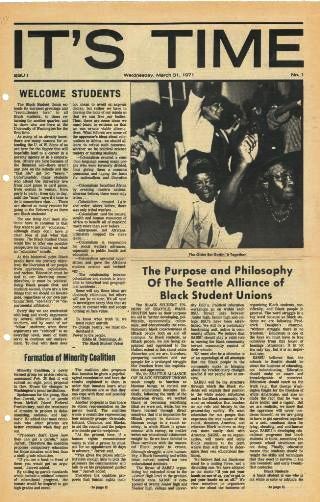 News Coverage: Read the day-to-day coverage of the BSU in Seattle newspapers, a digital collection of nearly 200 articles. It's Time was published by the BSU in 1971. 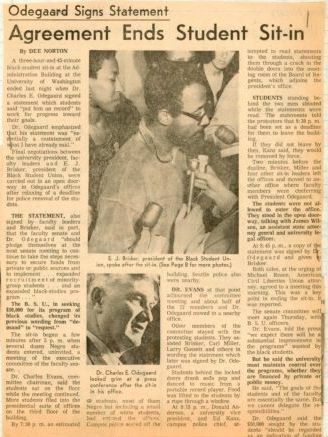 Click to read the March 31, 1971 edition. 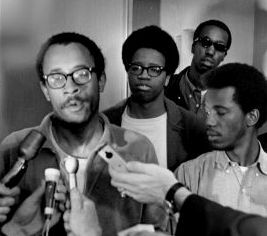 The Black Student Union was founded in early 1968 at a time when very few black students attended the University of Washington. Over the next several years the BSU led campaigns that transformed the University and helped reshape educational opportunities for young people of color in Seattle and throughout Washington state. We explore these events and their impact in a series of reports by Mark Robinson, Craig Collisson, and Tikia Gilbert.